Your employees work hard all year long, and so do you. Throwing a holiday party is a great way to show your appreciation and boost company morale. While this may sound like a great idea, there are a lot of things that can go wrong if you don’t plan accordingly. 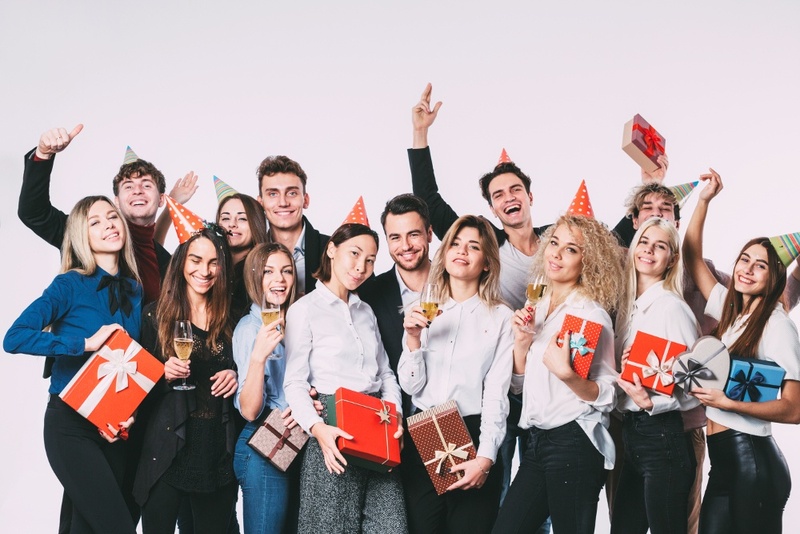 In this blog post, we’re going to share with you our tips and strategies that can help you with your office Christmas party planning. If you’re going to have any hope of throwing a successful holiday party, having a game plan in place is critical. If it’s your responsibility this year to organize the company party, be sure to make a checklist of everything that needs to be done. Decide on a venue (How far away is the venue?). Set a time and date for the party. Decide on the type of party (casual, formal, themed, etc). Decide on transportation options for guests. Create a budget friendly party menu. Determine whether it will be a day or night party. Decide whether you’re going to serve alcohol. Figure out how many guests will be in attendance. Set a budget for the party. While this covers a lot of important aspects of planning the party, one thing you need to focus on is safely transporting your guests to and from the party. A lot that can go wrong if this step is left unchecked. Thankfully you have a few options. Now that you've have figured out the party planning, it's time to think about transportation options and how to get everyone to and from the party safely. One thing no company wants is to have guests coming and going to and from the party intoxicated. Sure, most guests may not show up to the party under the influence, but you just never know. To help limit your liability, set up a meeting place before time where all guests should arrive, then have your mode of transportation drive everyone to and from the party safely. The best mode of transportation for parties and events like this is going to be renting a charter bus. You could use taxis or Uber, but those will quickly devour your budget since you’ll need to transport large groups of people.  Using charter bus transportation just makes more sense for your wallet. 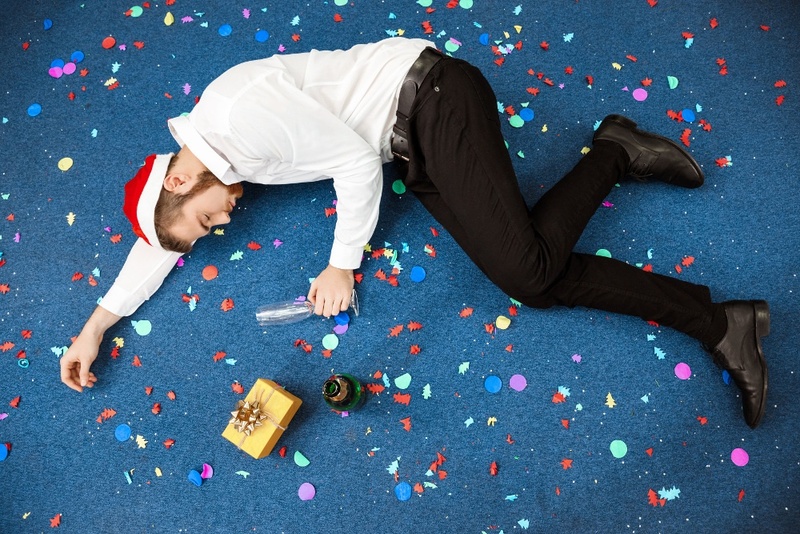 One of the major causes of liability and legal stress for a company throwing a holiday party is alcohol overconsumption. Everyone loves a good drink, but some will inevitably overconsume. One of the best ways of preventing alcohol overconsumption is putting safe and reasonable limits on how much guests can drink. Narrow down the selection of alcoholic beverages to wine and beer. You could even serve cheap signature cocktails and specialty drinks to help lower intoxication levels. Another method is just having a variety of food to choose from. This keeps your guest’s bellies full of food, instead of alcohol. Offering drinks earlier during the party and closing the bar an hour early is a common strategy companies use to make sure their guests don’t leave intoxicated. This is another reason why using charter bus service not only makes economic sense, but eliminates liability for guests who would otherwise drink and drive. Try scheduling the party on a weeknight. This will make overconsumption less likely. Use drink tickets to limit the drinks your guests consume. Have servers to serve drinks, don't have a self-serve bar. Offer a wide variety of nonalcoholic drinks. Remind your employees of proper etiquette. Make sure they know it's a work-related event. Safety and liability are a major concern for any company, but let's not forget that the whole point of a party is to have fun! Don’t get so caught up in limiting liability and worrying about what can go wrong, that you throw a party no one enjoys. A few fun things you can do to get the party started is providing entertainment for your employees. You don’t have to break the bank here either. Providing fun activities like photo booths, raffles, holiday goody bags, gift exchanges can go a long way. You can offer live entertainment or even just put together a great dance playlist to help get things moving. So, there you have it. These are some of our tips for pulling off a fun, safe, and successful holiday party for your company. Using these strategies can help you limit your company’s liability and makes an overall better experience for you and your employees. Looking for great group outings for adults? Check out our list of fun things to do in Orlando for adults! Ready to book your office Christmas party transportation?